GT2F provides technical support for the products of the range GT ! 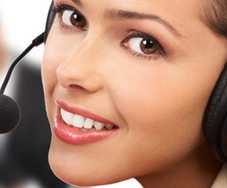 GT2F prides itself on its reputation for friendly, fast and superior customer services. All GT2F products include FREE, live technical support for 1 years following the date of purchase. Over this period of 1 years, consider renewing your support access to get your updates for a given license. Our technical support is dedicated to our telecom partners. GT2F takes control remote for greater efficiency in its support. GT2F also uses a new concept of online support available to installers. Faster and still powerful !